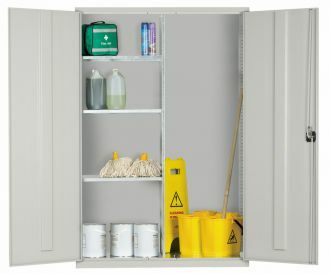 1830mm x 1220mm x 457mm steel shelving cabinet. 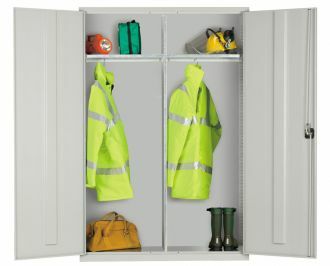 This cabinet has a recessed handle with integral lock and three point locking door to body. Fully assembled, delivered on a pallet and ready for use. 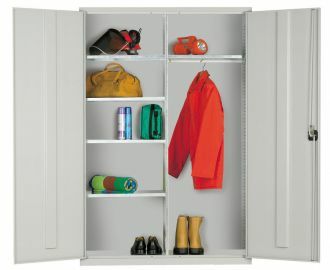 The cabinet body is grey and there is a choice of 7 door colours.